Batavia Biosciences offers a broad range of clinical manufacturing services for all major classes of biopharmaceuticals, i.e. viral vaccines, viral vectors, recombinant proteins and antibodies. We understand your need to outsource and offer to help you (I) meet regulatory requirements in terms of documentation and data retrieval, (II) avoid building, maintaining, and operating clean room facilities, and (III) adhere to the strict EMA and FDA guidelines. When selecting a partner there are several guidelines to follow to prevent surprises during the project. These guidelines include equipment selection, freedom to operate, quality system, and tech transfer experience. Equipment selection – It is ingrained in our company culture to only suggest the use of manufacturing equipment for clinical manufacturing that is aligned with the equipment to be used for commercial manufacturing. It is therefore deemed crucial to first understand commercial manufacturing scale and perceived process, as this will ensure a smooth transition of the candidate product from clinical trials to a commercial manufacturing setting. Batavia Biosciences accommodates a variety of clinical manufacturing platforms, including a stirred tank 200 L bioreactor, single-use bioreactors, spinner flasks, shake flasks, roller bottles and cell factories to produce Drug Substance. Freedom to operate – Batavia Biosciences’ R&D team brings to the table a thorough and broad understanding on intellectual property restrictions on technologies, manufacturing platforms, and raw materials. As such, the company is well positioned to develop processes that guarantee freedom to operate moving forward from bench to market. Quality system – All of Batavia Biosciences’ systems and procedures are developed and maintained to ensure compliance to applicable FDA and EMA regulatory requirements and standards. Batavia Biosciences’ Quality Control and Quality Assurance team (QA/QC), headed by our in-house Qualified Person, oversees the entire production process from the validation of equipment to the approval of the documents required to release your product. Tech transfer – Batavia Biosciences has successfully built a system whereby the team of experts developing the R&D processes in an R&D environment, also performs the clinical manufacturing in GMP. This has proven to eliminate time consuming and error-prone technology transfer processes. 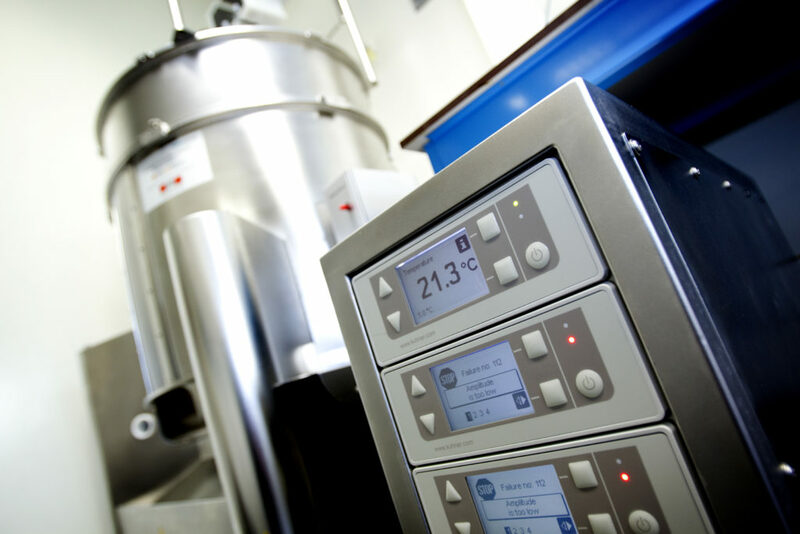 The dedicated team of experts at Batavia Biosciences is also intimately involved in transferring the manufacturing process to the client’s late stage/ commercial manufacturer. Batavia Biosciences deploys grade B and C clean room facilities. The facilities have dedicated upstream and downstream suites, equipped with a variety of manufacturing platforms. The facilities are supported by GMP materials warehousing and storage areas. Storage is available at -80°C, -20°C, 5°C and room temperature, with dedicated space for Drug Substance and Drug Product stability testing. Batavia Biosciences’ GMP facilities are regularly audited by regulatory authorities and (prospective) customers. Batavia is proud to have hosted about 16 audits in the last 2 years and has passed all these audits with flying colors as none of the audits identified critical or major observations. Batavia Biosciences has successfully manufactured and released products for both Phase-I and Phase-II clinical trials, both in Europe and USA. Our license allows the company to deliver recombinant proteins and antibodies, inactivated, live-attenuated, and sub-unit vaccines as well as diverse replication-competent or incompetent viral vectors. Batavia Biosciences’ track record stands at 100% for manufacturing and release of clinical products as witnessed by successful IND dossier submissions.